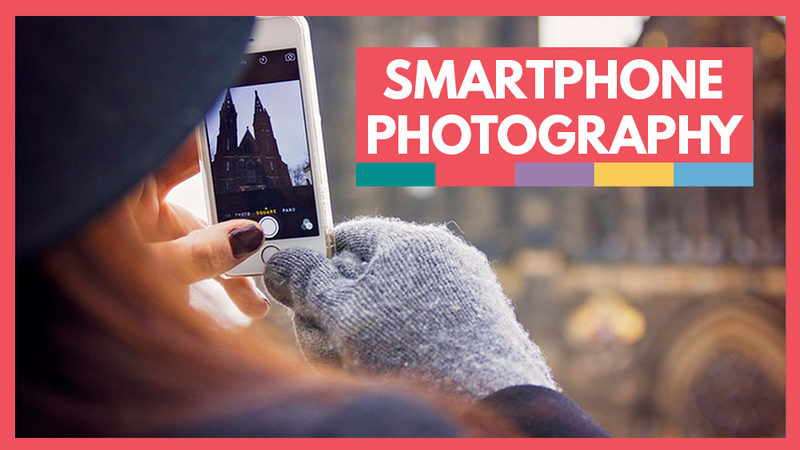 Learn smartphone photography tips so you can take better photos on the go with your smartphone. This photography guide will cover all of the mobile phone tips for better photography. Almost everyone has a phone with a built-in camera these days, and everywhere you go you can see people snapping away at their meals in restaurants, taking selfies and photos of anything and everything. For all that we use our smartphones to take photos, we don’t really understand or make use of their photographic capabilities. We know our phones have a good megapixel count, but a lot of people don’t know that you can shoot in RAW format on some smartphones, or that Lightroom and Photoshop have mobile apps to edit your smartphone images. In this article, I’m going to give you some tips and tricks to hopefully take your smartphone photography to the next level. 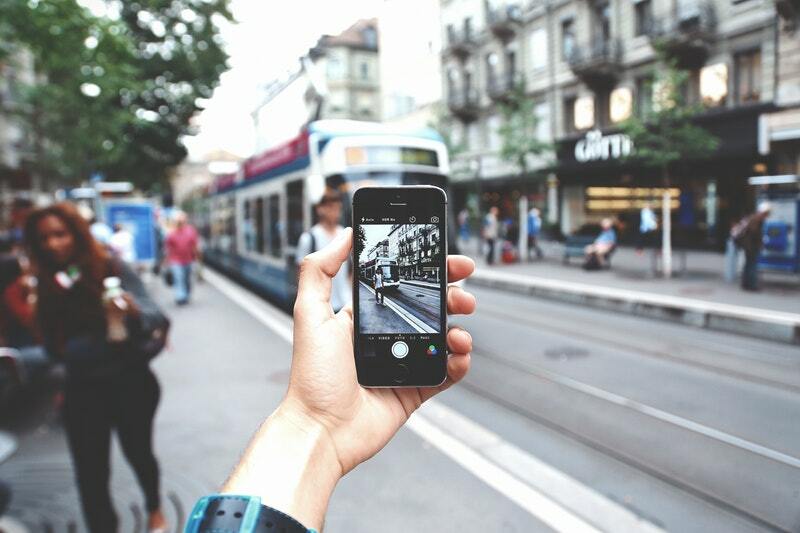 Street photography in particular has been made easier and more accessible with the smartphone camera. People tend not to take any notice of someone taking photos in the street with a phone, but put on a bulky DSLR and start shooting in the same street – someone is bound to notice and demand to know what you are doing. People tend to act unnaturally around large cameras too, as they are aware that they may be photographed. You stand a better chance of getting a completely candid street photo with a phone. They are also lightweight and easy to slip in a pocket or bag, which is great if you are going to be walking around all day. Relying on the default auto mode of your phone’s camera all the time is a bad idea. Yes, it’s great if you are in a hurry and see a shot about to happen in front of you. In that case, capturing the shot is more important than making sure the lighting and white balance is right. Most phone cameras have more advanced settings, such as ISO, white balance and shutter speed, so it’s worthwhile playing around to see what you can do with these. You won’t find an aperture control, as a phone has a fixed lens, but you can buy special lens additions for smartphones if you are serious about using it for photography. You can download third party apps that have camera controls in them, such as Adobe Lightroom Mobile, or Photoshop’s mobile app. The Lightroom camera app is great for taking images through, as it allows you to increase of decrease your shutter speed, change ISO and white balance, and then you can further adjust the image in the app. One word of warning about this app – I found that it made my smartphone overheat and become extremely hot to the touch when I used it for long periods of time. This is not good if you forget to switch the app off and put your phone away in your bag or car. At best overheating could damage your phone, and at worst it could cause a fire. 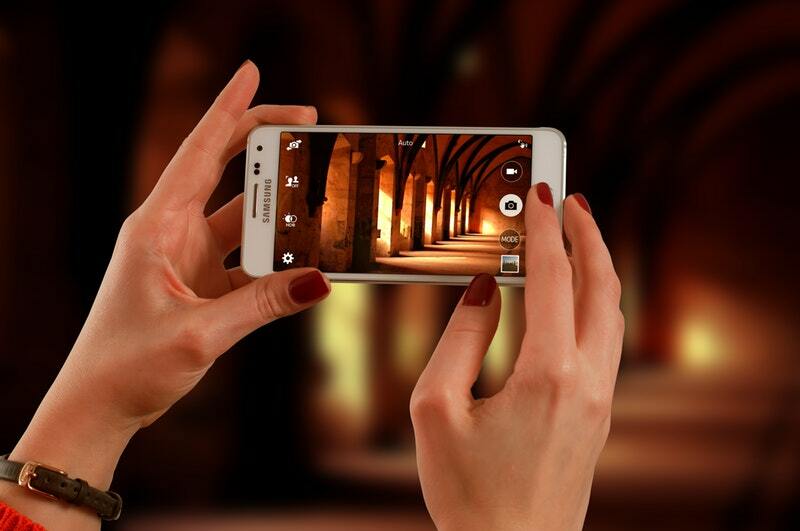 Set your camera phone to the highest resolution it can go to. If that’s RAW format, great, if it’s just JPEG try and get the largest resolution setting you can. The Lightroom app also allows you to capture in DNG format, which is a digital negative. Photographers with DSLR’s use RAW format, as it captures all of the image information without compression or sharpening, which allows for correction of shadows and highlights in post-processing. JPEG compresses the image, which means some of that image information is lost, and often sharpening and saturation adjustments are automatically applied to the image. Try to use RAW format if possible, but generally if all you have is JPEG, then the larger the image size the better. RAW files take up a lot more storage space than JPEG’s, so it can help a lot to back your images up to external storage on your computer or a hard drive if you can. Take advantage of free storage apps like Dropbox to store your images in a cloud. If you are going to process RAW files from your phone on your computer, you will need a RAW file converter to open and work on them, such as Lightroom or Adobe Camera RAW. A good free image editor that will open RAW files is GIMP. A lot of smartphone users make the mistake of zooming in to get a close-up image. When you zoom in, your image quality goes right down the pan. Try and move closer to your subject instead. Compare the image quality by zooming in on something and taking a shot, then shooting at normal size and going closer instead. The image that’s zoomed in is fuzzy and poor quality when looked at close-up, while the normal-sized one is sharper and clearer. If you want the closer framing, take a shot as close as you can get, then crop it down in post-processing. I mentioned earlier that you can get specialized lenses for your smartphone. You can get special effects like macro or fish-eye lenses, and they simply snap on the top of your smartphone camera lens. Brando, INK361 and Photojojo have lenses compatible with Android and iPhone. Make sure to clean your lenses often with a lens-cleaning cloth, and that applies to the built-in lenses on the smartphone itself. They can get smears and dirt on them surprisingly easily, and it can make a big difference to your photos if your lenses are clean. Always try to take your photos under natural lighting if possible. DSLR users can add flashguns and studio flashes to create great lighting, but that isn’t easy with a smartphone. Having said that, there are external flashes like Lightstrap or iBlazer especially for smartphones. Try to avoid using the built-in flash on your smartphone, as it really isn’t a flattering light and will give your subject harsh shadows. Shooting next to windows indoors or outdoors in natural light is best, but try to avoid harsh sunlight, such as at midday. The best light for photography is either north light with no direct sunlight, or shooting in the hour after sunrise and the hour before sunset. You can also make use of a cloudy day to shoot, as this cloud cover is a natural diffuser for the sun. You can also use white or silver reflective material to bounce light back into the shadows. A small circular 5-in-1 reflector isn’t expensive, and can make a massive difference to the look of your images. If you can’t afford a reflector, try using a mirror to catch the light on the shadow side of your subject and bounce it back in. Aluminum foil that has been gently scrunched up and smoothed out also makes a great reflector. Take a little time to learn about the basic rules of composition, such as the rule of thirds, framing and leading lines. These are just a few, but it will improve your photography so much if you take the time to learn and use them. Most smartphones have a grid option to split your screen into thirds to help master the rule of thirds, so use it if you have one. Always check your background for clutter or distracting elements before you take the shot. There’s nothing worse than a great portrait of someone where you can see piles of laundry or dirty dishes in the background! Always take more than one shot of your subject. Take a few shots, then change position and try and capture your subject from a new angle. This will give you much more choice when you come to decide which image you like best. Camera phone photography is here to stay, and as the technology becomes ever more sophisticated, there will be new and better apps and hardware to turn your phone into a decent camera. I don’t think they will ever replace DSLR’s, as they don’t have the versatility or image quality a DSLR does, but they are a great starting point for someone who wants to learn photography basics without spending a fortune on camera equipment. Do you use your smartphone a lot for photography? Let us know what tips and tricks you like to use.